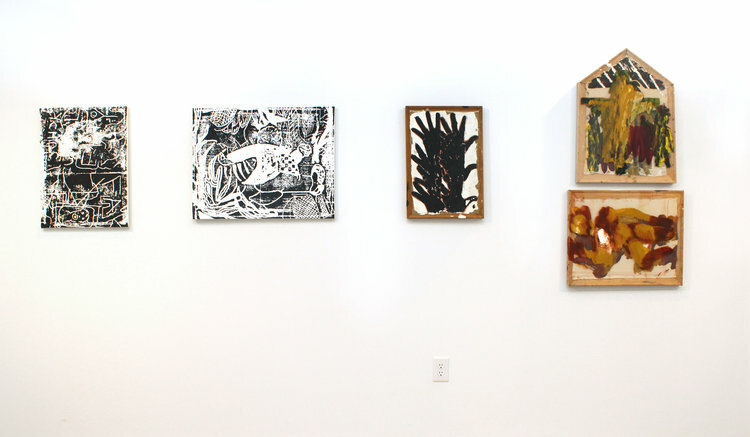 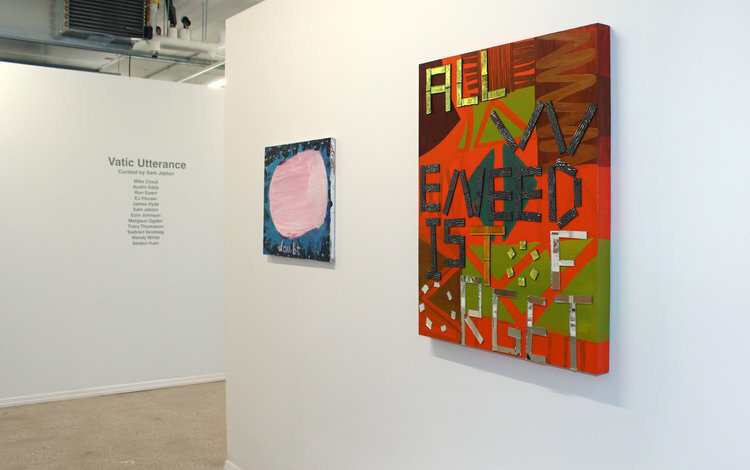 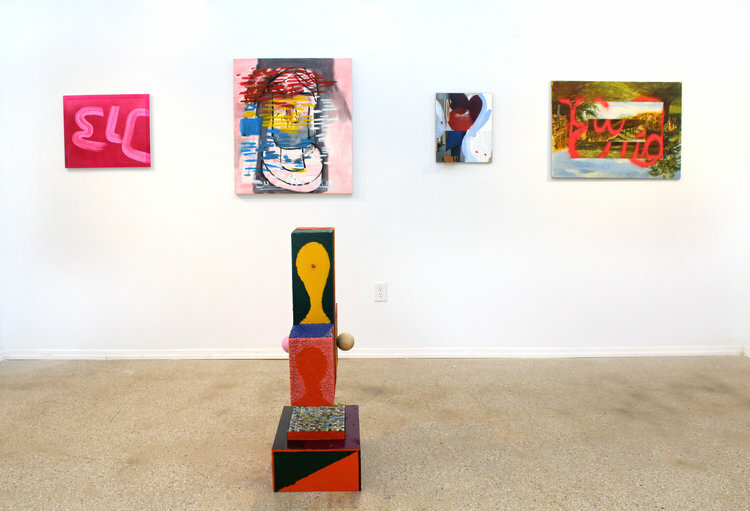 Clockwise: EJ Hauser, broken nose, 2012-13; James Hyde, Seeking Sculpture, 2015; Ezra Johnson, The End, 2012; Wendy White, K2, 2015; Austin Eddy, City Face (Vertical Stripes, Pink Ball), 2016. 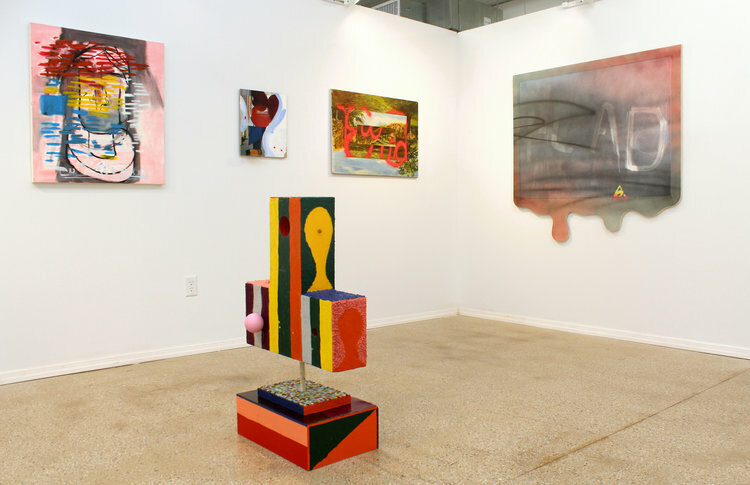 Clockwise: Wendy White, ELC, 2015; EJ Hauser, broken nose, 2012-13; James Hyde, Seeking Sculpture, 2015; Ezra Johnson, The End, 2012; Austin Eddy, City Face (Vertical Stripes, Pink Ball), 2016. 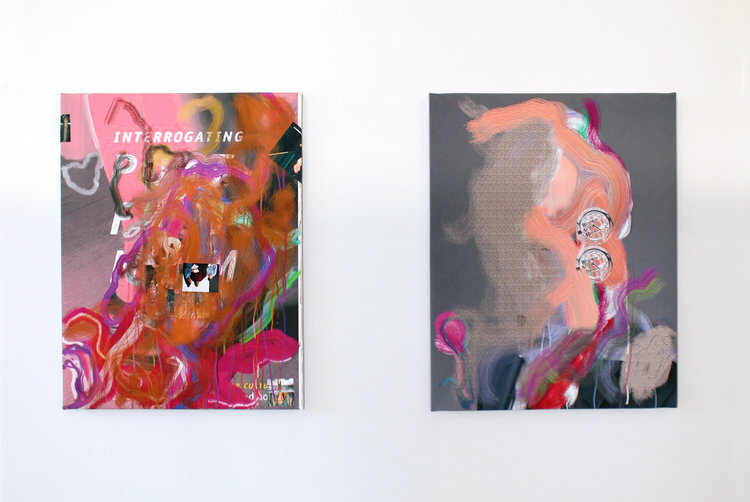 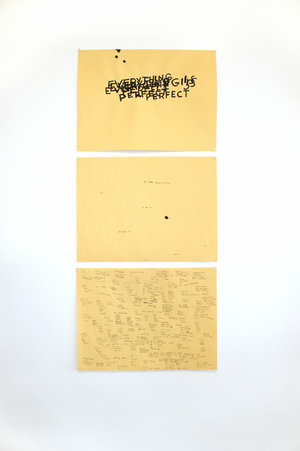 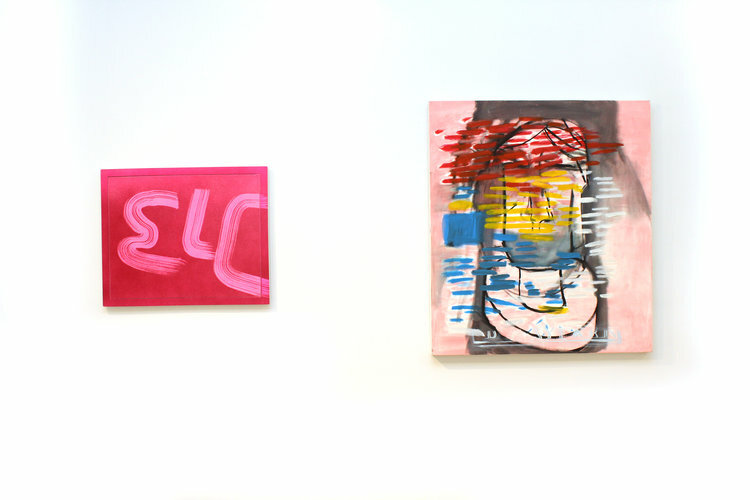 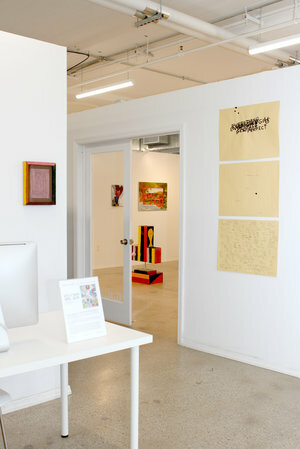 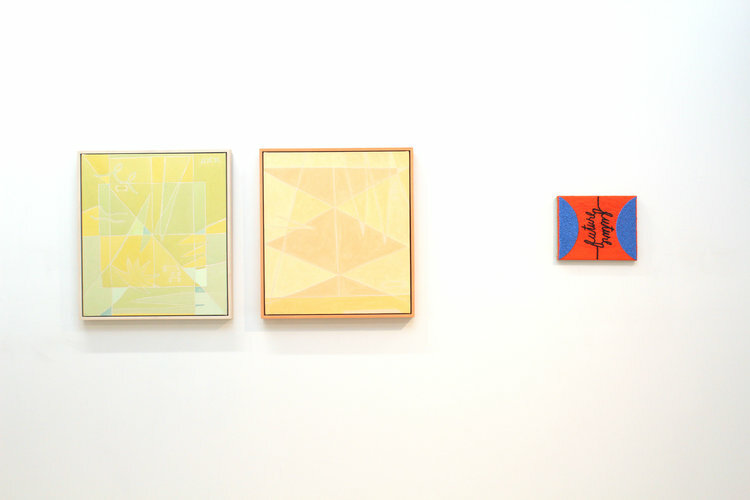 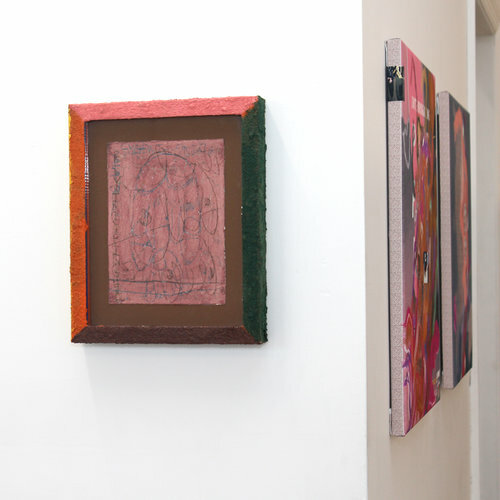 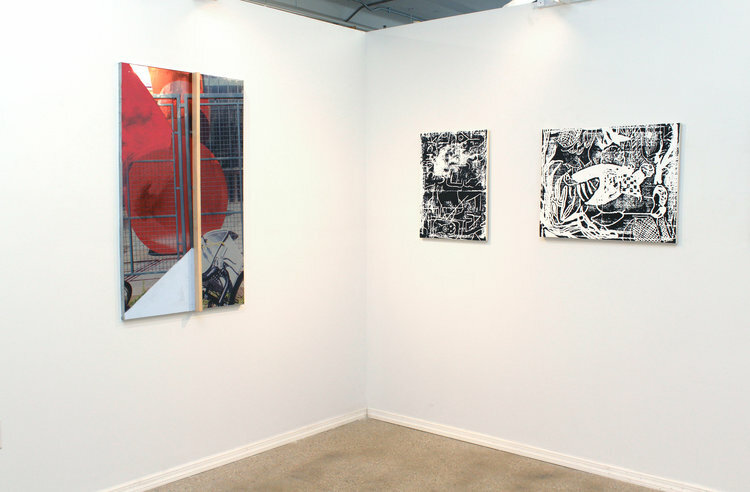 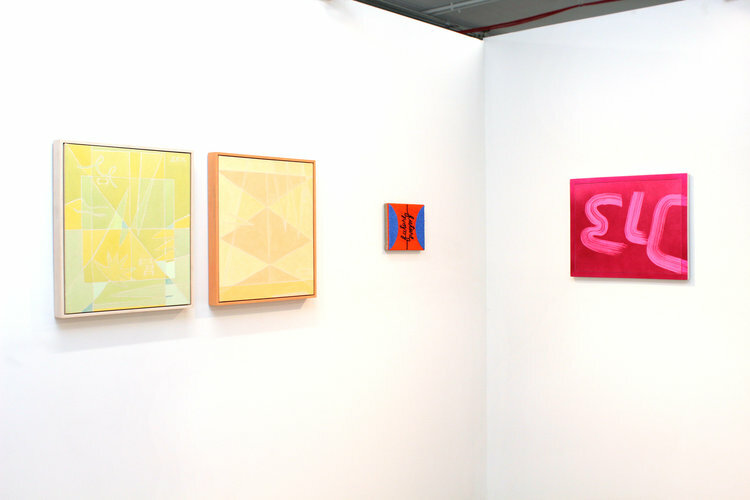 Left to right: Margaux Ogden, Flash Back and Throw Books, 2016; Tracy Thomason, Future/Future, 2017.